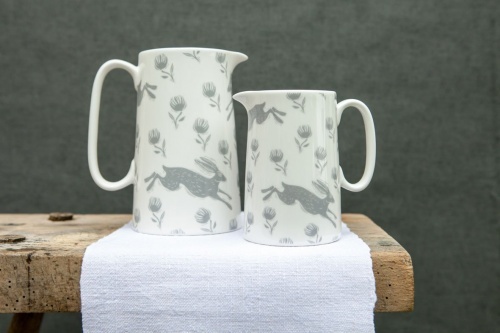 Large running hare jug by Sam Wilson Studio. A quaity porcelain jug of nice proportions. Grey hares on white.